March 26th featured a shortwave trough over eastern Colorado that was expected to track east into the Ozarks while a surface cyclone moved into Western Oklahoma. A dryline extended south from the low into Texas and would provide the focus for thunderstorm development during the late afternoon as it migrated east towards I-35. The big concern for this setup was whether or not quality moisture would advect northward in time after a scouring cold front swept higher dewpoints to the Gulf in the previous week. 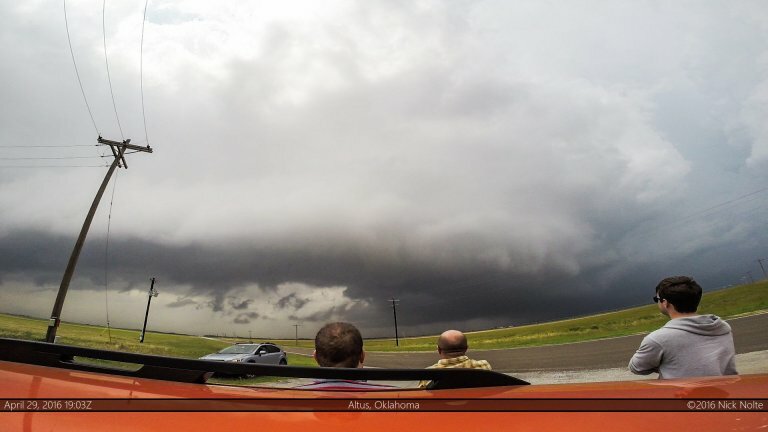 Day 6 of a week long chase vacation featured an enhanced risk of severe weather along the Red River. A negatively tilted mid-level trough was ejecting into The Plains while at the surface, a low in the southern Texas Panhandle was forecast to migrate east along the Red River bringing upper 60s dewpoints into Southern Oklahoma. 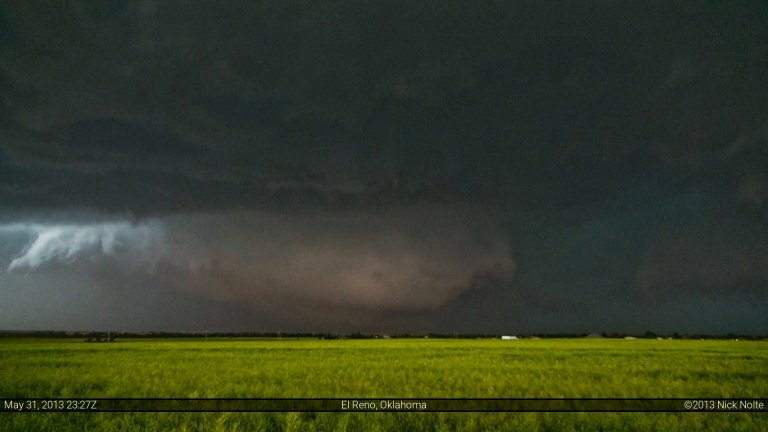 May 16th was the second day of a three day chase. Today a negatively tilted trough was expected to eject over The Plains with a 100kt upper jet poking into the target area. 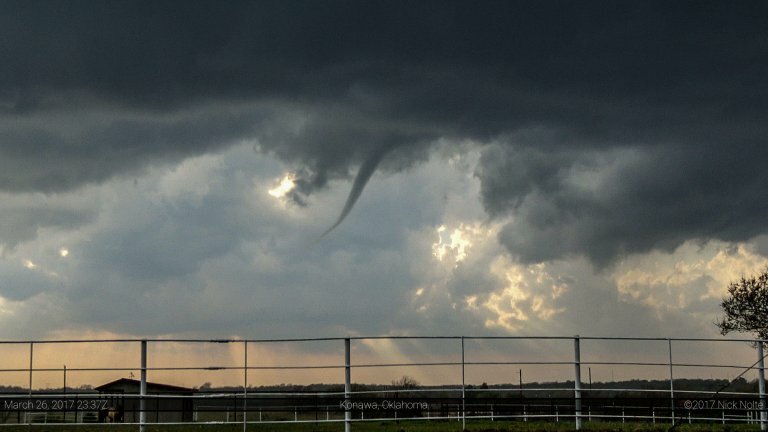 A low pressure in Colorado was progged to shift eastward into Nebraska during the day while a trailing cold front and dryline were expected to surge east across the Texas Panhandle into Oklahoma. My first real storm chase was May 10, 2010. I had decided that winter to read everything I could about severe weather and figured I’d give it a shot on my own. In retrospect, it may have been a better idea to learn from someone with experience, but nevertheless I jumped in feet first and on my first storm chase caught the tornado near Wakita, Oklahoma. 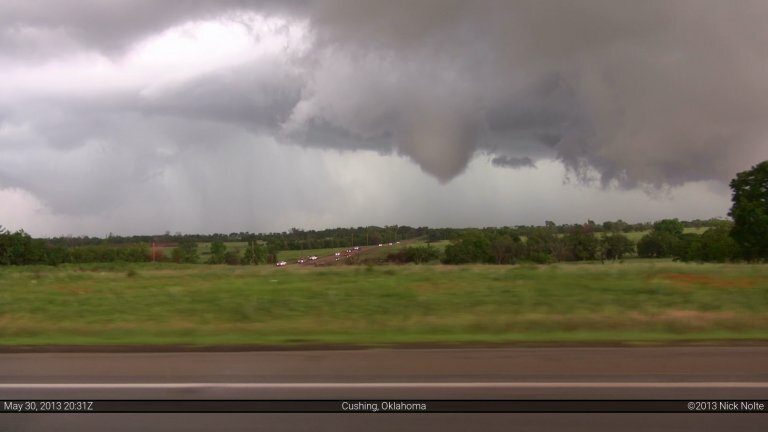 I still remember standing outside my car on Oklahoma Route 11a about 1.25 miles north of highway 11 watching this spinning bowl spawn vortex after vortex in the distance. It took me longer than I’d like to admit to realize that tornado was headed right for where I was standing. I still remember turning east onto highway 11 as the winds picked up and wind driven rain was blasting my car. After the fact, I realized this was probably the rear flanking downdraft, but at the time I wasn’t sure. My adrenaline was pumping and I was very anxious to get the hell out of there. Traffic on the highway wasn’t helping with my planned expedient escape. Eventually, the wind subsided as the trail of cars progressed east and the tornado carried on to our north. I still remember the first time I stopped after the escape and my hands were shaking, probably a mix of adrenaline and gripping the steering wheel, but I was on edge after that. Since that day in Grant County, I’ve been on over 100 storm chases and I haven’t been that nervous on any of them until El Reno. A negatively tilted trough continued it’s eastward march and while it’s strongest winds were displaced to the northeast from the target area, convective outflow from the previous night’s storms and an eastward mixing dryline would help foster convective development across Oklahoma. The trick would be our upper support would be moving out of the area and heights would be rising. Would the instability be able to overcome this? SPC seemed to think the possibility was there and it warranted a 10% hatched moderate tornado risk for the day.